Create your online domain for just $49.99. Want to build and host your own websites? Do both with a lifetime subscription to the WordPress Build + Host Bundle. 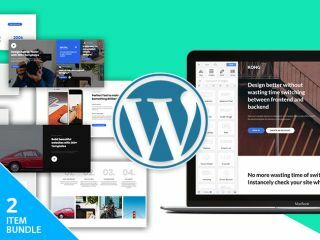 This two-product bundle includes everything you'll need to create and host a great website. With Dragify Wordpress Builder, you won't have to learn to write any code at all, as the drag-and-drop website builder is so intuitive and user-friendly. Build your perfect website that looks great across all devices. You'll also get SSDPage SSD Anti-Hacker Web Hosting, a system that protects your site against CXS malware, DDOS attacks, and other common cyber threats that could wreak havoc on your website. Get both for the low price of $49.99.